any interesting exhaust tips around? Any of you guys seen any interesting exhaust tips around? I used to change those things like watches on my old Avenger...cheap lil upgrade for diffrent looks...just wondering if you guys have seen/ have any intresting or unusual ones. 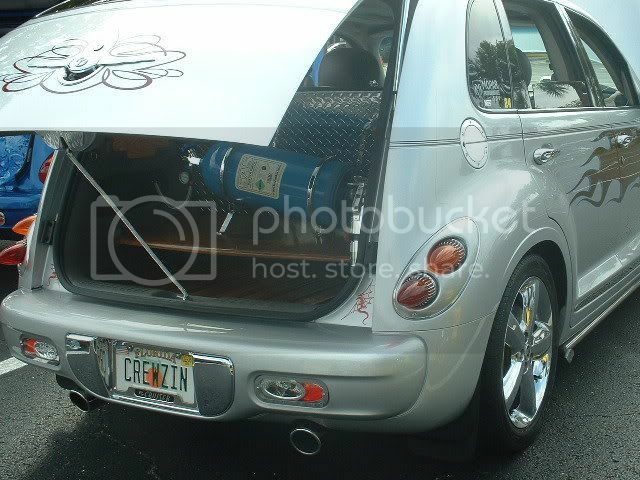 kinda had an eye on a rolled tip flame etched one..
Re: any interesting exhaust tips around? The bumper valence can be cut rather easily to accommodate any size tip, but then, of course, it might look too wide for the next change in tips. I'm partial to the dual rolled tips (not too big that its close to ricer size).